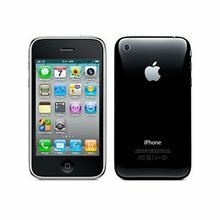 Sell your iPhone 3GS 32GB using the OnRecycle system and get the most money in return. With such a quick and easy process to follow, you'll be selling your iPhone 3GS 32GB in no time! Thanks to OnRecycle's hassle-free comparison service, no longer will you have to wonder "Where will I recycle my iPhone 3GS 32GB" Sell iPhone 3GS 32GB models to your choice of recycler by perusing our selection of iPhone 3GS 32GB trade in prices.